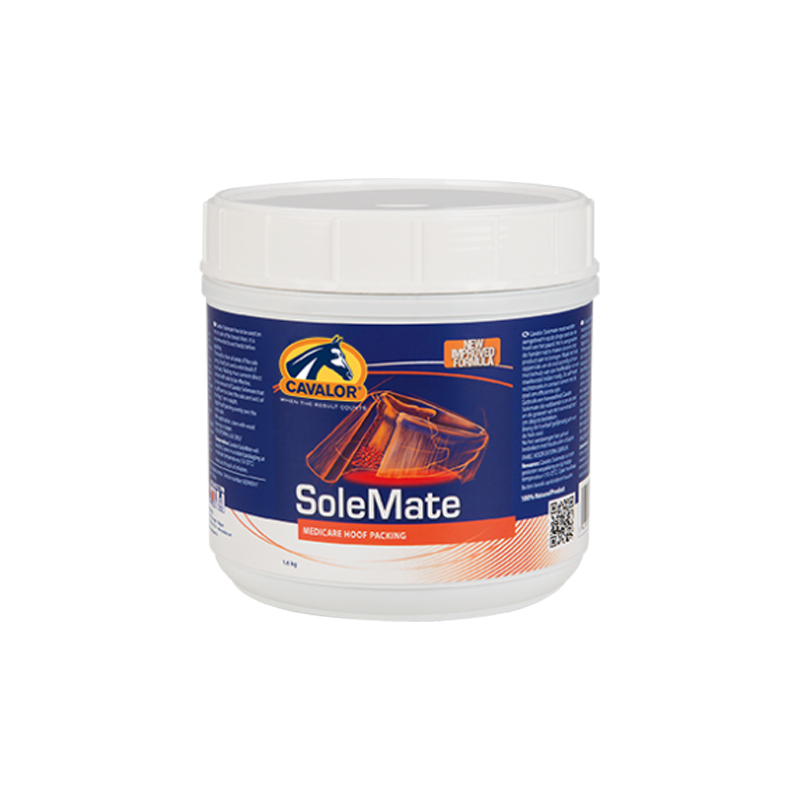 Cavalor SoleMate is developed to provide natural care for footsore horses due to galloping, jumping, pulled shoes, thin soles, bruises abscesses and laminitis. Cavalor SoleMate is designed to draw out pain, soreness and inflammation after a horse's hard workout. Cavalor SoleMate is a blend of natural ingredients that will not test and can be used during competitions. Arnica is a permitted anti-inflammatory agent for local use. Directions: Cavalor SoleMate is extremely sticky but won't adhere to a wet hand! Thoroughly clean all areas of the sole using a hoof pick and brush dirt out to ensure maximum absorption. Hoof must be DRY to adhere properly. Using a wet hand (or glove if preferred) scoop out product and cover the sole and frog evenly. Cover with wood shavings, paper, etc, so it won't stick to the stable floor. No need to wrap for box rest but recommended for turnout or if your horse does not have shoes.